"Hidden in the heart of the old city of Barcelona is the 'cemetery of lost books', a labyrinthine library of obscure and forgotten titles that have long gone out of print. To this library, a man brings his 10-year-old son Daniel one cold morning in 1945. 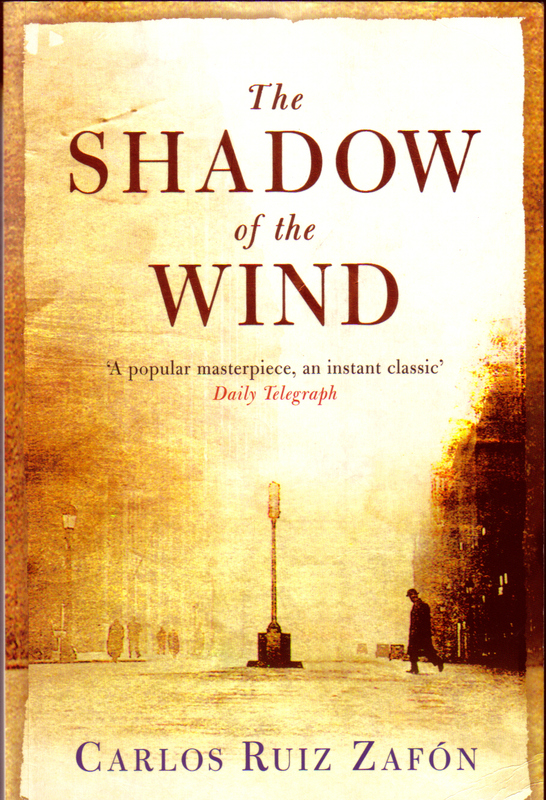 Daniel is allowed to choose one book from the shelves and pulls out 'The Shadow of the Wind' by Julian Carax. But as he grows up, several people seem inordinately interested in his find. Then, one night, as he is wandering the old streets once more, Daniel is approached by a figure who reminds him of a character from the novel, a character who turns out to be the devil. This man is tracking down every last copy of Carax's work in order to burn them. What begins as a case of literary curiosity turns into a race to find out the truth behind the life and death of Julian Carax and to save those he left behind." A myth persists that ranks Paris, France, as the city of light and romance. However, other cities (European ones, in particular) would also be able to stake a legitimate claim on this title, such as Venice, San Francisco, and Barcelona, with the potential of the latter specifically being heightened by Carlos Ruiz Zafon's The Shadow of the Wind, published in 2001 and being celebrated to great fanfare ever since. Can such a spotlighted book really live up to the hype and dethrone Paris as the city of love? Those who have visited Barcelona will be able to visualize its imprinted walls, twisting path designs and hidden passages as they read; those who have not will be surely incited to visit. The sweeping setting, combined with the novel's secret trysts, haunted houses and curses that stretch across the years, make for a heart-racing read as readers follow the teenaged narrator, Daniel, through the streets of this Catalan city. Any book lover will surely, after reading, wish to roam Barcelona's alleyways searching for the entrance to the cemetery of lost books, wondering if there is a real-life guardian at the door as in The Shadow of the Wind. While it is not a fully realistic novel, with there being too many coincidences and fanciful occurrences for that, Ruiz Zafon's grasp of poetic description and fast-paced action makes this seem less significant. The length of the book may appear off-putting, but needn't be: the author's ability to build suspense and keep us turning the pages means that the sheer volume of it seems to disappear beneath our fingertips. Another appeal of the novel is its imperfect protagonist, Daniel, and the company he keeps: all are very human and thus are moody and do make mistakes (at best), or harbour murderous instincts (at worst). In spite of this, they fit well into the adventurous setting, allowing readers to lose themselves completely in the story's waves of description, exciting plot, and dramatic turn of phrase. Occasionally concision is lost, meaning that there is a risk of forgetting why certain events occurred, but this does not detract from overall enjoyment of the story, meaning that there is without doubt scope for future rereads, whether alone or in conjunction with the rest of the series (Zafon has so far released two subsequent books, intending the series to eventually have four parts).